The beautiful Avignonesi Estate in Tuscany, now 100% organically farmed, can be visited for tours and tastings. Nine years ago Adriano Zago, an agronomist based in Tuscany received a phone call from Belgian heiress and ex-lawyer Virginie Saverys. She had just acquired Avignonesi, an historic winery in Montepulciano, the first and oldest red wine DOCG (Controlled and Guaranteed Designation of Origin) in Italy. Virginie, an avid vegetable gardener and proponent of organic farming, told Adriano about her vision of transforming the entire estate to biodynamics and putting new life into the vineyards. “Can we do it?” she wanted to know. Nine years later, the answer is clear and her dream has become a reality. Click here to read the full interview on Grape Collective with Adriano: "Virginie Saverys Of Avignonesi Winery Is Bringing New Life To Old Vineyards In Montepulciano." Make sure to seek out these special wines at your favorite restaurants and local wine shop ($22.99 for the 2014 Vino Nobile di Montepulciano at Grape Collective). The common thread of all of the Avignonesi wines is one of delicacy and mouthwatering freshness. These are food-friendly wines. 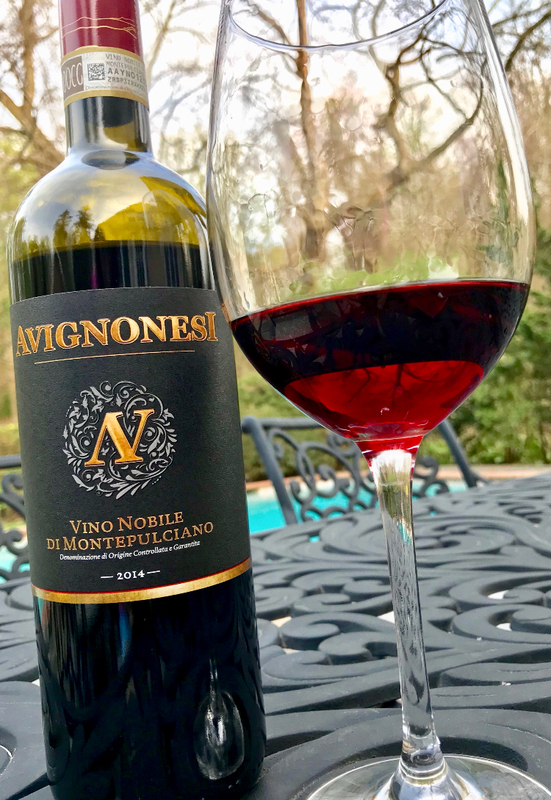 The gorgeous red color of the Avignonesi Vino Nobile di Montepulciano is surprisingly light and translucent. This medium-bodied wine has a very earthy quality, while still being light and fresh on the palate. The delicate fruit flavor —both of fresh and dried fruits — has slight hints of licorice and tobacco along with a spiciness, especially on the finish.